Our team of skilled professional organizers is committed to helping you meet your organizing, downsizing, and relocating goals. We utilize our wide range of backgrounds and personalities to create customized solutions that work with your individual needs, personality, situation, and budget. We hope you'll enjoy getting to know a little bit about each of our unique team members below. 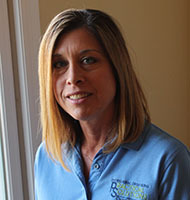 Although our team is diverse, we all share a passion for helping others regain control of their surroundings and life. We are also empathetic and non-judgmental, and promise to always treat you and your space with the utmost care and respect! Kathy Angello – Kathy loves the positive impact she has the opportunity to make in someone's life in just one organizing session. Her biggest rewards are her clients' smiles and expressions of joy and relief at the end of a job. Before assuming her current role, Kathy earned a graduate degree in Industrial Organizational Psychology, and worked in human resources, benefits consulting, and custom home-building where she enjoyed getting to the stage of work in which she could visualize storage options. She utilizes the same skill for spatial conceptualization to help clients take control over their clutter and disorganization. In addition to her role as a professional organizer for Practical Solutions, she also runs her own jewelry-making business out of her home, cares for her aging mom, and spends as much time with her husband and two kids as possible! She also loves spending time with their dog, paddle boarding at the beach, and doing yoga. Cathy Bates – Cathy founded Practical Solutions in 2003 as a way to follow her passion for helping others organize and de-clutter so they could simplify their lives and have more time for what matters most. As a busy professional, mom, wife, and caretaker for aging parents, she knew the daily struggles people faced, as well as the positive impact an organized environment could have on their home, family, business, and life. Read more about her story here. When she's not hard at work, she loves doing yoga, taking walks with her dog, Addie, and spending time with her husband of 27 years and three adult children. The family loves doing simple things that don’t require a lot of money but create lasting memories, including hiking, taking picnics, going to the beach, and playing games. 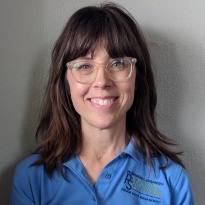 Jodie Beachtel – Jodie enjoys every aspect of being a professional organizer, but her favorite part of the job is working with senior citizens. In fact, she loves helping them so much that she thinks getting paid is almost a fringe benefit! The biggest payoff for her is seeing clients satisfied, happy, and living life to the fullest. When she's not busy enjoying her job, Jodie loves doing yoga, cooking, taking walks with her two border collies, and spending time with her husband of 27 years and their two sons. 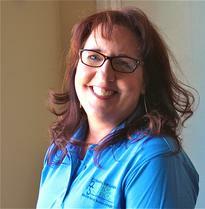 Jill Braun - Jill loves seeing the positive impact organization can have on someone’s life. She has not always been organized but has personally overcome those challenges which is what makes her so good at understanding and helping others who struggle with clutter. Her degree and a good bit of her experience are in Theater. In addition, she has worked as a tour guide in Alaska, a case worker in Nairobi and an English as a Second Language (ESL) instructor in Thailand and Europe. 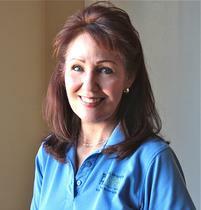 She has even worked with seniors in an assisted living community. She continues to teach drama and serve as an ESL tutor. In her free time, she loves spending time with her husband and two sons who are very involved in music. She also loves interior design, traveling, going on walks with friends, entertaining and gardening. 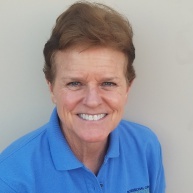 Patti Eickhoff – When Patti retired from her 25-year career as occupational therapist, she knew she wanted to find a new outlet to help make people's lives better. 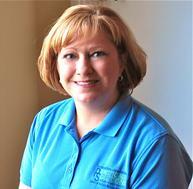 After her first day at Practical Solutions in 2009, she felt it was her dream job. She's still just as passionate about her roles as a professional organizer and move manager, and especially enjoys helping others by bringing order to chaos. 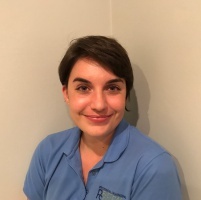 She also has a special sense of empathy for those who are moving, as her family re-located every 18 to 24 months when she was growing up – She has a first hand experience of the stress and effort that goes into a move. When she's not on the job, she enjoys quilting, taking yoga and tai chi classes, being in the mountains or on the beach, getting together with friends, and spending time with her husband and three grown kids. 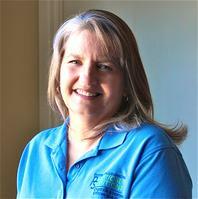 Leah Gernetzke – Leah has always had a knack for organizing. She's fascinated by the psychology behind the different ways people relate to space on a daily basis, and knows that the spaces people inhabit have a powerful impact on their mood, stress levels, and productivity. As such, she loves helping others feel more in control, empowered, and productive in their environment, and more motivated to take control over other areas of their lives as well. In addition to being a professional organizer, Leah has worked as a reporter for a newspaper, communications and multimedia specialist for a non-profit, and a freelance writer and editor. In her free time she enjoys traveling, experimenting with new recipes in the kitchen, reading, writing, hiking, and spending time with family and friends. 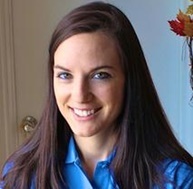 Aly James– Aly loves the challenge of decluttering and organizing overwhelming spaces. Removing that burden for people and helping them transform their space, gives her a great sense of joy and accomplishment. Before starting with Practical Solutions, Aly worked for many years in the food and beverage industry. She has enjoyed very much, blending her customer service skills with her love for organizing. In her free time she enjoys spending time with her family and friends, hiking with her dogs, traveling and watching movies. Mary Jo Laskowicz – Mary Jo loves all aspects of being a professional organizer, from meeting and working for wonderful clients to working with the best group of professional, kind, and hard-working co-workers. She finds working with clients to help them achieve their goals, and giving them the confidence to keep them up, very rewarding. Before becoming a professional organizer, Mary Jo worked for the Alumni Relations Department for the University of Redlands, where she planned a variety of events and functions and assisted three directors. When she's not busy helping others move and organize, she enjoys doing home improvement projects of her own, as well as going on short cruises, visiting family, hosting the holidays, and spending quality time with her parents. She also loves spending time with her husband of 29 years, and their two grown daughters, as well as their active golden retriever. 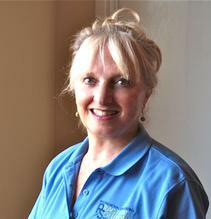 Susie Mierzwik – Susie has always had a passion for organizing. In fact, when she was employed full time, she dreamed about becoming a professional organizer in “retirement.” Her career history includes 26 years as a teacher and ten years in corporate finance. She also ran her own part-time income tax practice, and for the past six years, has marketed drug-free patches for people who struggle with a variety of health issues. She gets joy from helping others get and stay healthy, which is also why she loves helping others create an uncluttered space as a professional organizer. When she's not busy pursuing her passion for helping others in a variety of capacities, she and her husband enjoy traveling, square dancing, working on rental properties, gardening, attending theater and concerts, and spending time with their lab, six adult children, and four grandchildren. Susan Rose - Susan loves helping clients transform a space into something that is not only useful but aesthetically pleasing. 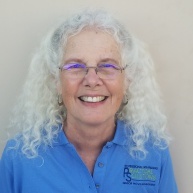 Before organizing Susan spent 16 years teaching and more than 30 years working in medical offices. She has also owned and operated businesses. During these busy times, she was also a mother and caretaker for her disabled husband. In her free time, she enjoys doing home improvement projects, gardening, yoga, listening to music, going to concerts, reading, volunteering and baking. Hiking in the woods or mountains with her grown daughter and Airedale Terrier, Bodie, is another favorite pastime. She feels helping others is a gift she enjoys sharing. Shelby Samples- Shelby became an organizer because she loves to help others and work with her hands. She has seen how organizing her own space helps her focus on big life goals and feel more at ease. She wanted to share that gift with others and help them achieve their own big life goals. Before working at Practical Solutions, Shelby worked in customer service as a swim instructor and lifeguard, a barista, and in the restaurant industry – all jobs where she was working on her feet in a social setting. In her free time Shelby enjoys sewing, gardening, woodworking, cooking, baking, brewing kombucha, camping, spending time with her husband and dogs and listening to true crime podcasts. Bonnie Serrao – Bonnie retired from teaching after 38 years and wanted to do something meaningful with her life. She has always loved organizing and decluttering in order to make her own life simpler and now loves using her organizing talents to help her clients simplify their surroundings. She has two grown children and triplet grandbabies. In her spare time, she exercises, gardens, reads and spends time with her family. She also volunteers at a Children’s Hospital.